I don’t do much print design anymore, but the Camden Civic Theatre posters are fun (pro-bono) job that I love. It’s always a good challenge for me to summarize the spirit of a show in a single letter- or tabloid-size page. And make people want to come. And give the essential data in a clear and concise way. All so that someone passing by the poster on the way into the supermarket might be stopped by it long enough to consider going and absorb important details. 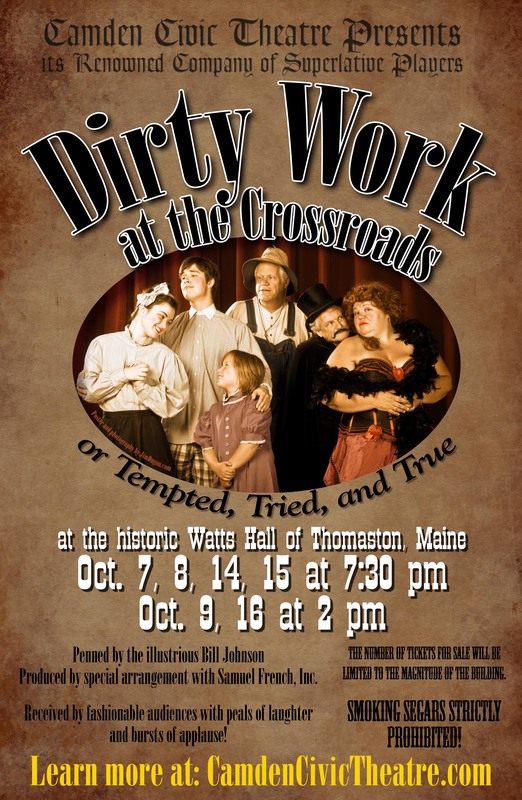 So Dirty Work at the Crossroads is coming up next month. I shot the photo and designed the poster.